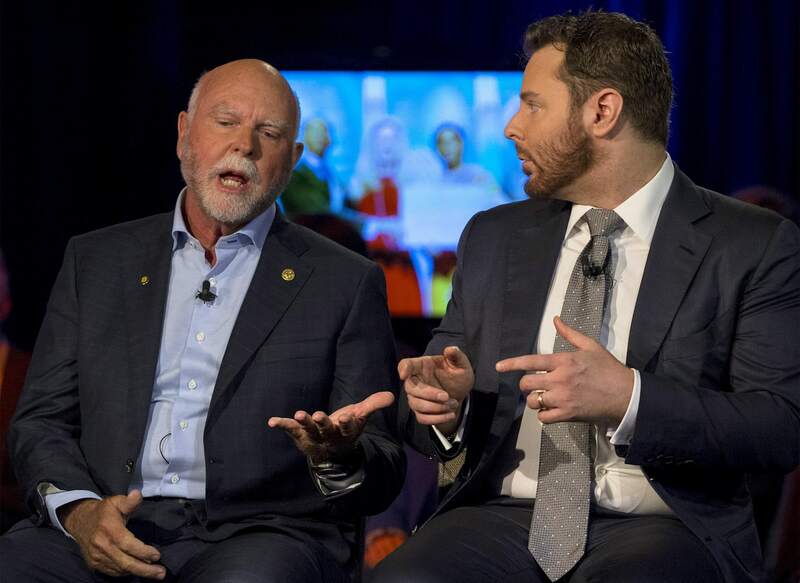 Backed by Sean Parker, researchers aim to reprogram T cells to fight cancer. A federal ethics and biosafety panel has approved the first ever human trials of the CRISPR-Cas9 gene editing technique. Researchers from the University of Pennsylvania aim to modify the immune system "T cells" in patients, helping them better fight off several kinds of cancer. The work will be funded by the Parker Institute for Cancer Immunotherapy, founded earlier this year by tech billionaire Sean Parker. While the federal ethics panel nod was a big hurdle, researchers still need approval from the FDA and the hospitals conducting the studies before they can start. CRISPR-Cas9 genome editing has never been tried on humans, so early studies will focus on the safety and efficacy of the tech. Scientists will remove T cells from up to 15 patients with three types of cancer: multiple melanoma, melanoma and sarcoma. The cells will be modified with CRISPR so that they can fight the malignant cells normally, then reinserted back into the patient. The trial will take place at MD Anderson Cance Center in Texas, USC San Francisco and Penn. The technology holds a vast amount of promise in medicine -- if a patient lacks a gene that makes them more susceptible to cancer or other diseases, it can simply be edited back in. Scientists also believe that it could be used to permanently eliminate diseases like Down syndrome or Sickle-Cell Anemia. If embryonic cells are "repaired," the recipient can never pass on a genetic disease to his offspring. However, the technique is controversial, and scientists fear it could cause unintended side effects. Scientists in China used CRISPR on human embryos to repair a gene that causes a fatal blood disorder. The technique worked on half the embryos, but failed on the other half. As a result, the team called off the study, calling it "too immature." Nevertheless, scientists on the federal panel that gave the go-ahead for the Penn State trials were enthused, calling the study "exciting." The decision means that CRISPR-Cas9 tech will be used even earlier on humans than expected -- a company called Editas Medicine said it would hold the first trials to treat blindness in 2017.